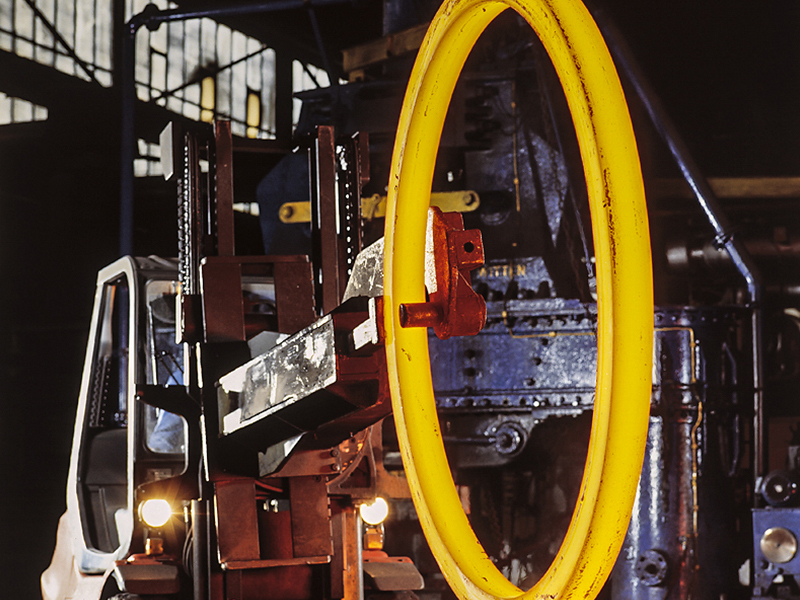 Our range of rolled rings ranges from rings with cylindrical contour to complexly profiled parts, raw forged or rough-turned. 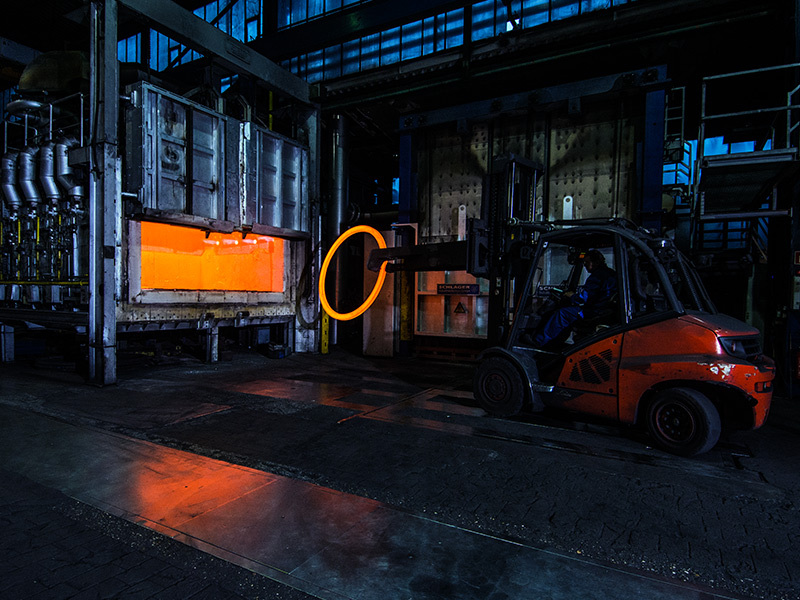 Forging tradition, experience in ring-rolling, and the continuous improvement of technological procedures assure our high quality standards for the benefit of our customers. 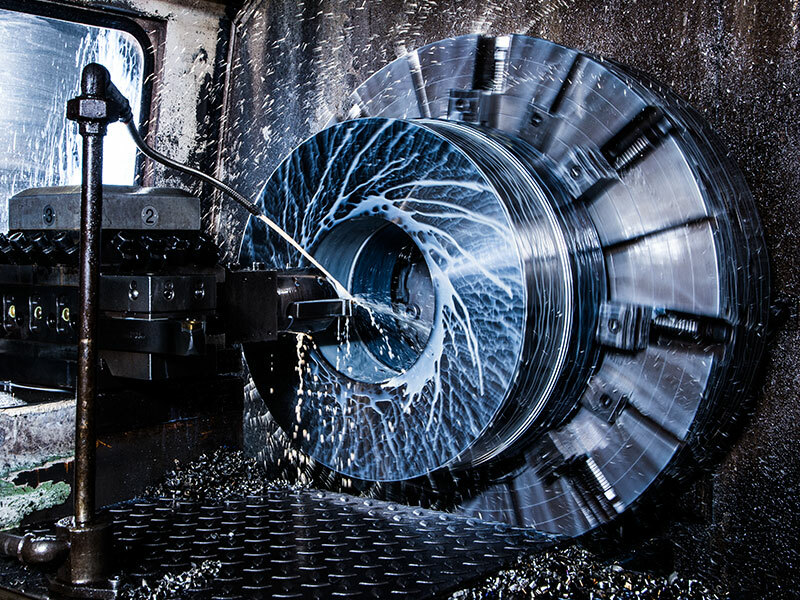 We manufacture rings from a comprehensive range of materials with six modern high performance ring-rolling mills. 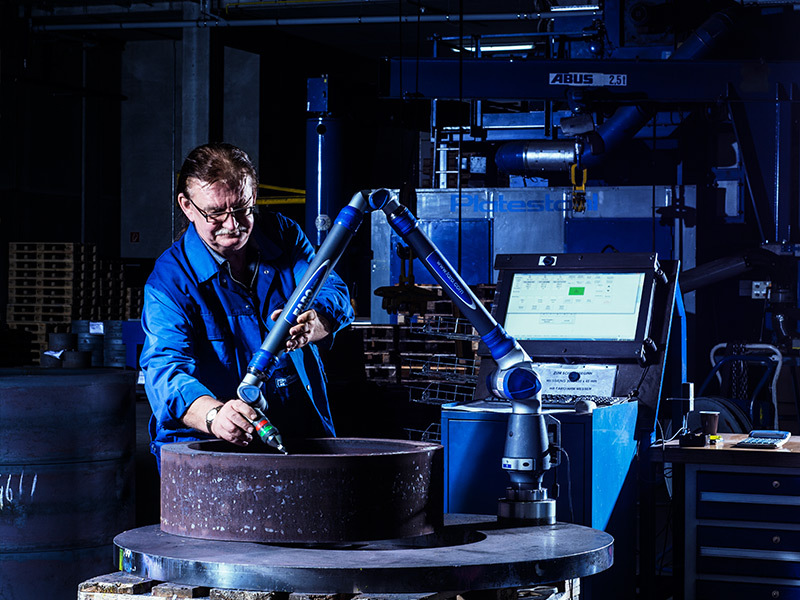 Our staff members’ experience ranges from the processing of construction steel to bearing steel and titanium. 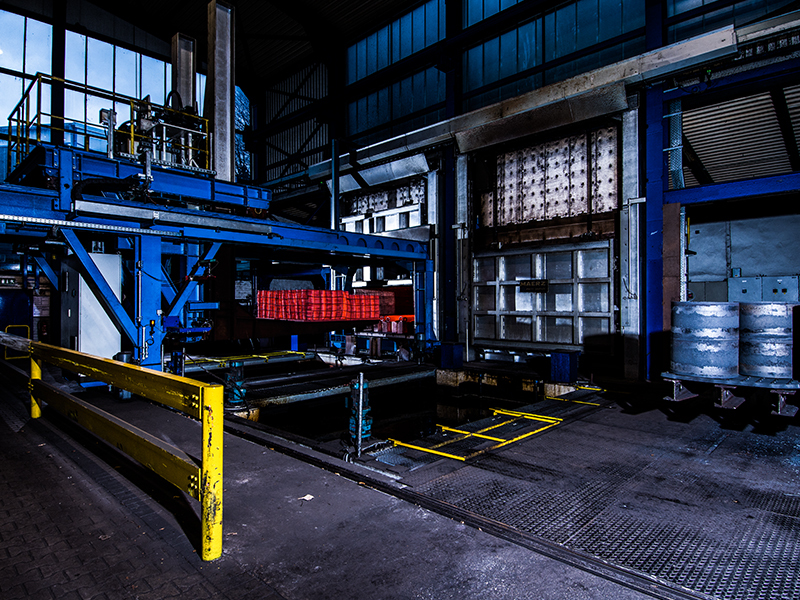 Both of our ring-rolling departments use well tried and up- to-date methods of mechanical engineering. 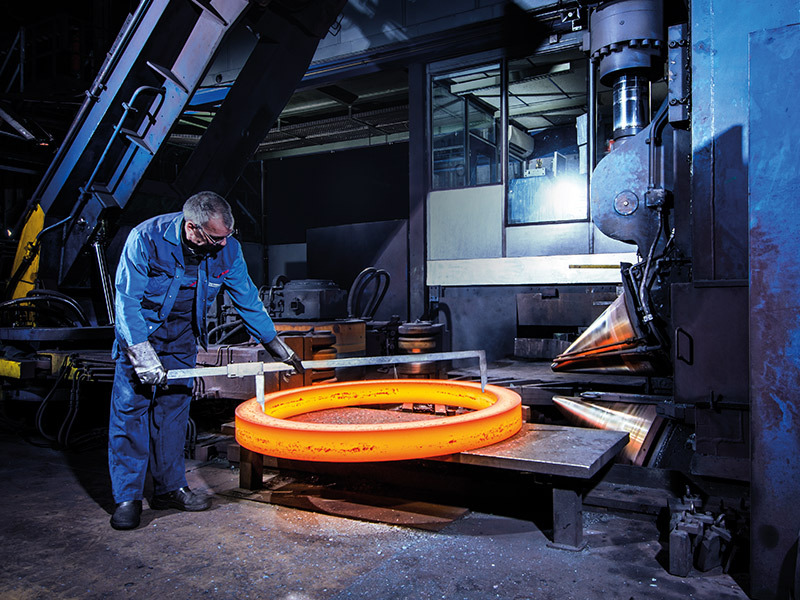 Our range of rolled rings ranges from rings with cylindrical contour to complexly profiled parts, raw forged or rough-turned in all required heat treatment conditions. 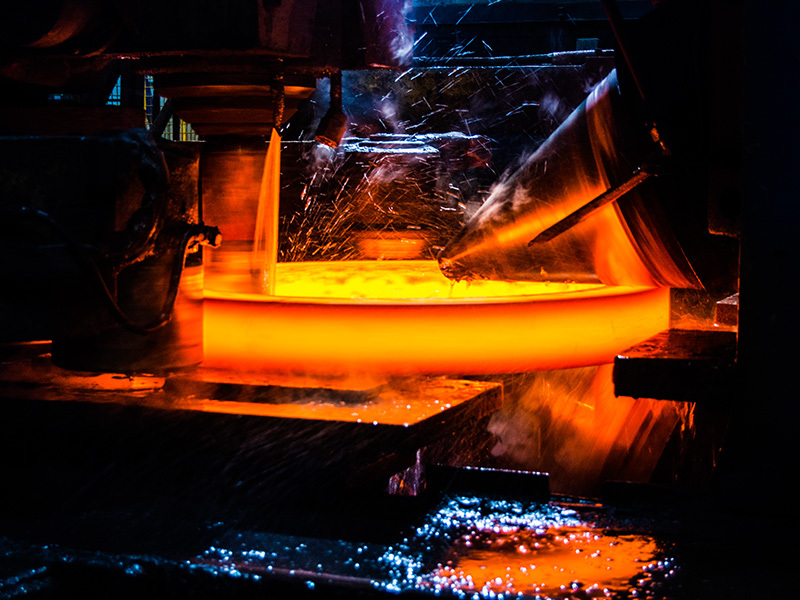 Platestahl has equipment suitable for all requirements, whether individual items or small series production from our open-die forging department, or medium and large series production from our ring mill. 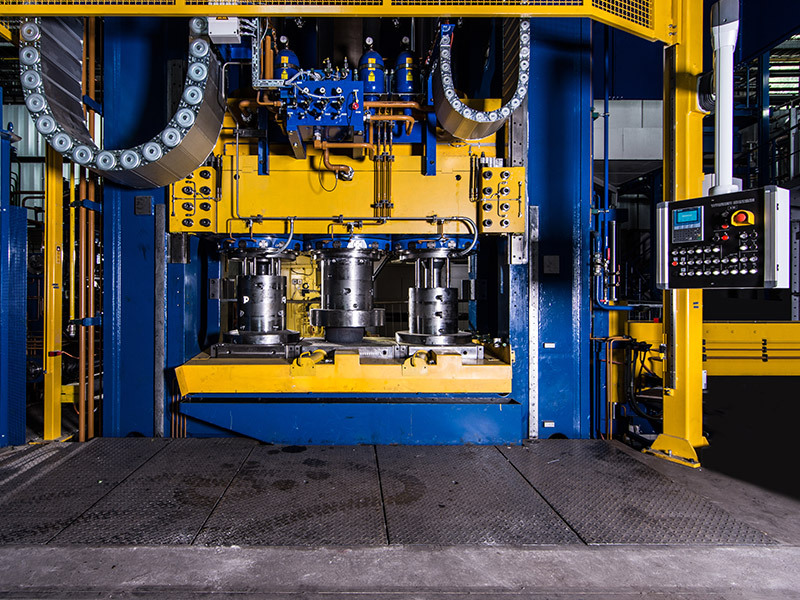 Therefore we can offer cost benefits by complying with specifications and tolerances from the resulting shorter processing times. We will be happy to advise you and provide you with a custom-tailored offer. You can contact us by telephone or conveniently via e-mail. Further information can be found in the privacy statement.